Starting Saturday October, 6th the Old Naples Surf Shop skim instructors will meet at 13th Avenue South Beach at 6pm for Free Skim Clinics! Bring your own board and get ready for SKIM JAM 2018! 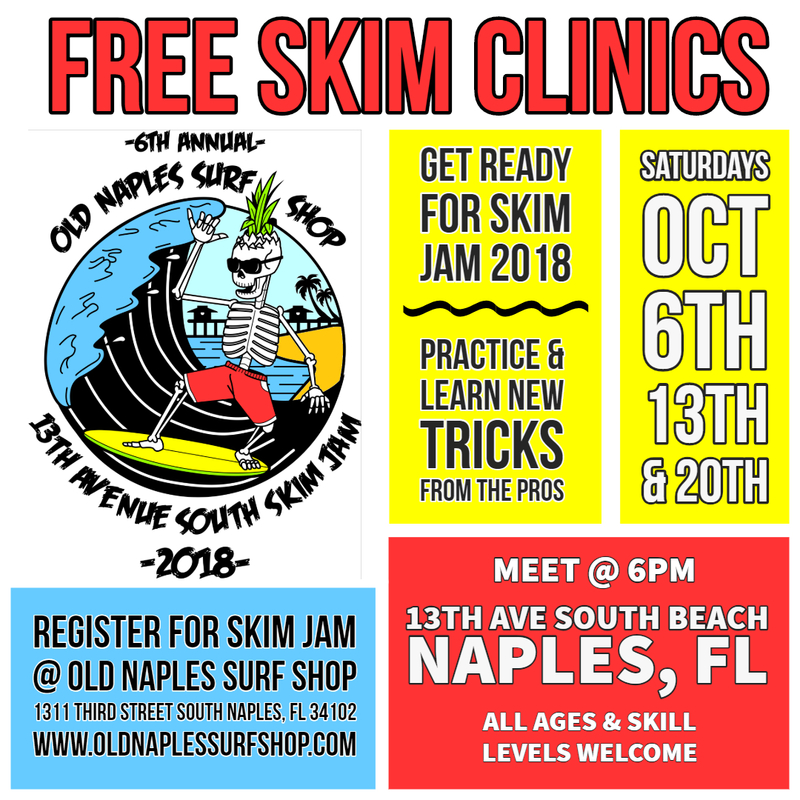 Join Old Naples Surf Shop instructors @_shaunyj_ & @cllama for FREE Skim Clinics to get you ready for SKIM JAM 2018! Meet at 13th Avenue South Beach, just south of the Naples Pier at 6pm to practice and learn new tricks from the pros! Bring your own board, see you out there!